LLCs and LLPs are both legal entities that allow companies to engage in business activity. LLCs are typically better for most small business owners because they offer more tax flexibility, are easier to set up and have fewer restrictions on members. An LLP is better for forming partnerships to practice accounting, architecture or law. If you are unsure whether an LLC or an LLP is best for your needs, check out Rocket Lawyer. Rocket Lawyer is an online legal service that will help you identify which structure is best for your business. Not only that, they will take care of filings and paperwork for you. Start a free trial today. A limited liability company (LLC) is the recommended legal entity for most small businesses. Unless you plan to practice law, accounting, or architecture, an LLC is a better choice over the LLP. LLCs are also better for holding real estate and offer more tax flexibility than an LLP. Unlike an LLP that has to be taxed as a pass-through, in an LLC you can choose how you’re taxed. Limited liability partnerships (LLPs) are just that — partnerships. LLPs can only be used in certain circumstances, but are typically the best option when at least two partners want to practice a licensed profession like law, accounting, or architecture. LLPs help partners to shield themselves from personal liability — even if they’re engaged in the management of the business. Businesses that are larger or need to raise capital may find alternatives to both an LLP and LLC a better fit. For example, S-Corps can have up to a hundred shareholders, owners can pay themselves salaries if they’re actively involved in the business, and you still don’t pay corporate income tax on company profits. You can learn more about how other entities stack up by reading our LLC vs. S-Corp vs. C-Corp article. Regardless of the legal structure you choose for your business, you may also benefit from registering a DBA (doing business as). In examining an LLP vs. LLC, we studied a number of things, including the possible uses, flexibility of tax structure and requirements for setup and administration. Many of these areas are very similar between the two, but the biggest differences are going to be in liability protection and how your business will be taxed. After considering an LLC vs. LLP, the biggest distinction we’ve found is how your business is set up. In the end, unless you’re a partnership of two or more business owners practicing a profession like law or tax, then an LLC is the right option. More than 90% of American businesses are taxed as pass-through entities. While both LLPs and LLCs are typically treated as pass-throughs, this isn’t always the case. LLPs are required to be taxed as pass-throughs, but LLCs get to choose how they’re taxed. You will need to pay 15.3% self-employment tax on any income derived from an LLC. You may also need to pay excise or franchises taxes, depending on where you set up your LLC. Unlike a partnership, an LLC lets you choose whether you want to be taxed like a partnership, an S-Corporation, or a C-Corporation. If you use an LLP, you will need to also pay 15.3% self-employment tax on all income derived from the LLP. Additionally, LLPs are treated as pass-through entities so each individual partner is taxed on their share of partnership profits at ordinary income rates. Some states also charge excise or franchise taxes on LLPs. To determine which option may be best for you, be sure to consult a licensed accountant. Both LLPs and LLCs shield their owners from personal liability resulting from company obligations or damages resulting from their operations. LLPs offer a greater degree of liability protection to partners engaged in the management of their business. There are also several cases in which the owners of either LLCs or LLPs can expose themselves to personal liability. Like in LLPs, LLCs provide a shield to help protect assets of the owners from liability resulting from the operation of the business. However, some courts have found that LLC members forfeit liability protections when they’re actively engaged in the management of the business. There are other situations where the corporate veil can be pierced. In an LLP all partners have protection against personal liability, even from actions taken by other partners. Where LLC owners sometimes give up personal liability protection if they’re actively engaged in the management of the company, this is not the case for limited liability partnerships. However, there are cases where the liability shield can be pierced. If you have specific concerns about liability protection in your state or industry, be sure to have them addressed by a licensed attorney. While the costs of an LLP vs. LLC are similar, there are many differences in LLC and LLP rules. These rules tend to make LLCs better for single-owner companies and most small businesses while LLPs better for small groups of partners organized to practice law, accounting or architecture. LLCs are organized with members, managers and/or managing members. There is no restriction on the number of members, and single-member LLCs are very common. You can vote in new members anytime and accept funds from new members to help raise equity capital. Membership rules for an LLC vs. LLP are relatively similar. LLPs are made up of general partners and limited partners. New partners can be added in time, and you can require a buy-in to help raise money for the partnership. The biggest difference between LLPs and LLCs is that LLPs must have more than one partner. There are costs associated with setting up and maintaining LLCs and LLPs. Each state charges an initial filing fee to form your company and all but a few states charge annual fees when you submit required annual filings. In most states, these costs are similar for LLCs and LLPs, and these costs are important considerations when deciding where and when to register your company. In many cases, it may be easier to work with a professional to help you set up and administer your new company. Rocket Lawyer is a terrific resource that offers a plethora of template documents and provides individual help as necessary. To address more in-depth questions or individual concerns, it can also pair you up with licensed attorneys at discounted rates. The specific costs of an LLC are about the same as an LLP. Each state charges a formation fee that’s typically between $50 and $500. 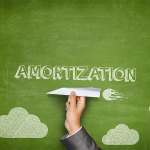 LLCs are also charged fees at annual filing that range from $0 to $820. If you choose to have a professional prepare LLC tax returns, the cost is typically $0 to $1,000. There are three primary costs for an LLP. Once you pick where you want to establish your partnership, you’ll pay an initial filing fee typically ranging from $50 to $500. Each year thereafter, you’ll need to submit annual filings to keep your LLP current. These filings typically include a fee that ranges up to $820. There is little administrative difference between an LLP vs. LLC. Both are required to conduct annual meetings with recorded minutes, submit annual filings and prepare and submit tax filings and K-1s for owners to show individual tax liability. The biggest difference is that LLPs may have additional paperwork because they’re used to practice a licensed profession. LLCs are even easier to administer. In addition, required annual filings to keep your LLC current, you’re required to hold an annual meeting and keep minutes. LLCs also need to prepare tax returns and provide individual members with K-1s to show their individual tax liability (if they choose to be taxed as a partnership). LLPs management can be centralized or decentralized. They are required to have annual meetings and keep minutes, submit annual filings, prepare tax returns and provide K-1s to reflect each partner’s tax liability. If you use an LLP to practice law, accounting or architecture, you may have to show that you have the licenses to practice. Compared to S-Corps or C-Corps, LLCs and LLPs are relatively easy to use. They can be extremely beneficial structures for starting a business. If you are using an LLP to practice a licensed profession like law, accounting or architecture, you may have additional requirements at setup. LLCs are the easiest kind of business to use. LLCs can be used for things other than practicing licensed professions and only need one member. You can establish, pay your filing fee, submit annual reports and prepare tax returns and member K-1s — all online. Because LLPs can often only be used to practice a licensed profession like law, accounting or architecture, they can be slightly more difficult to set up or administer. This is because you must usually show that you have the proper licenses and meet the qualifications to practice in that profession. There are many pros and cons of LLPs and LLCs to consider when deciding which to use. While LLCs are better in most situations, if you plan to practice law, accounting or architecture, an LLP is probably better for you. An LLC is beneficial to most businesses because it protects you from personal liability based on what happens in the business. It also provides flexibility in choosing how you would like your business income to be taxed. An LLP is great because it’s specifically designed to protect professional partners from liability based on the actions of the business. This is important in a profession like a law practice where sensitive decisions that have an effect on people’s lives are made every day. An LLC has very few drawbacks to most businesses compared to an LLP, but you should be aware that you’ll typically be required to pay a self-employment tax every year. The biggest reason not to choose an LLP is if you’re not starting a professional practice with a partner. However, an LLP also is very limited in how you can be taxed and it still carries the extra self-employment tax that the LLC must pay. 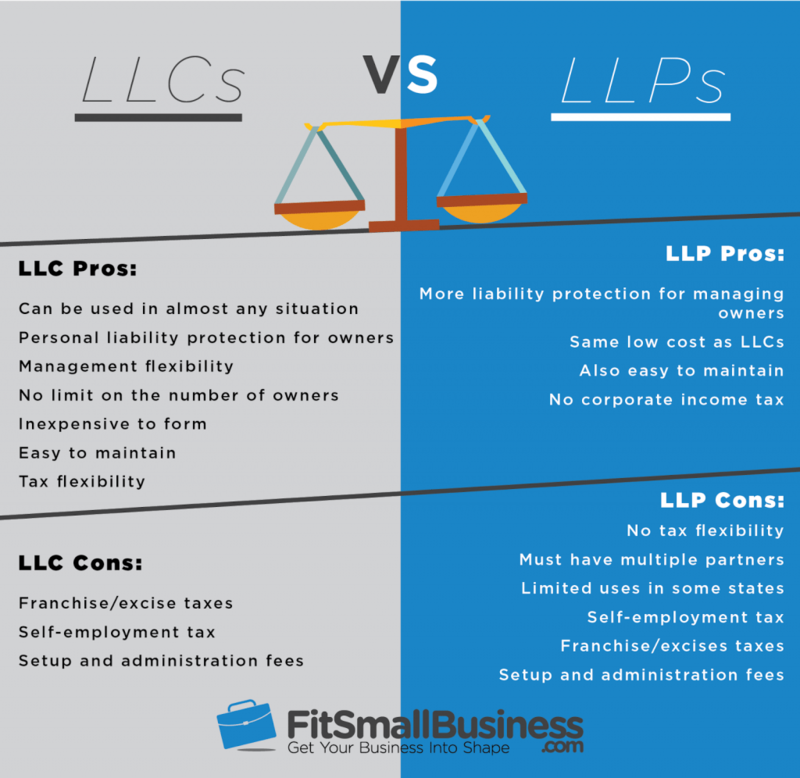 LLPs and LLCs have very similar structures. Because of this, they typically find the most benefits in several of the same states, including Delaware, Nevada and Wyoming. Some of these benefits include lower filing fee costs, low franchise or excise taxes, easier filings systems or more robust liability shields. Delaware is not a cheap place to form a company but is notorious for providing companies with great liability protection. It takes quite a bit to pierce the corporate veil in Delaware. While it only costs $89 to form a company in Delaware plus $50 for annual filings, plus applicable taxes. However, Delaware in one of several states that require companies to have a resident agent, which can cost an addition $180 at setup and $45 per year. In recent years Nevada has become another popular place to establish a company. Like Delaware, Nevada provides company owners with ample liability protection. There is a $75 fee to establish a business in Nevada plus $150 for the list of members. This $150 is due each year after formation when you update your list of members. Like Delaware, Nevada also requires businesses to use a domestic registered agent that can cost $49 per year. Wyoming has relatively low taxes and filing fees compared to other states. It costs $100 to form a new LLC or LLP in Wyoming. Annual filings cost the lesser of $50 or $0.0002 for every dollar of assets owned by a company within the state. Foreign companies are also required to designate a domestic registered agent that can cost $49 per year. In some cases, neither an LLC nor an LLP is the best option for your business. Depending on the size of your business, and your specific tax situation, you may find more benefits from an alternative structure like a corporation or a sole proprietorship. The right business structure for you will depend on what your unique needs are. Sole proprietorships are not formally registered companies. Instead, they’re used when people simply start selling goods or services. You don’t need to file with a state to have a sole proprietorship, but it’s a good idea to register a doing business as (DBA) with your state’s secretary of state. You will be required to report all of your self-employment income on your Schedule C.
The biggest drawback of a sole proprietorship is that it doesn’t offer its owner any personal liability protection. In a sole proprietorship, the owner is personally liable for all obligations of the company. 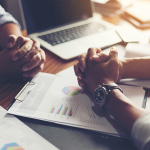 As a result, a sole proprietorship may not be a good choice if you’re in a business with a lot of potential liability — or if you have several assets that a creditor could try to come after. 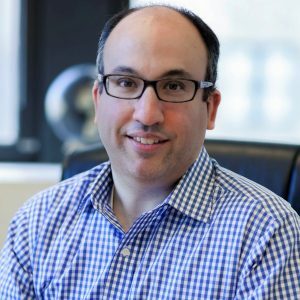 S-Corps are another great alternative to LLCs and LLPs. Owners of an S-Corp can pay themselves a salary and are exempt from self-employment tax. What’s more, like LLCs and LLPs, S-Corps do not pay taxes on corporate profits as those taxes are passed on to company owners each year. If the only reason you’re interested in an S-Corp is to get the tax advantages then you should keep in mind that LLCs can elect to be taxed as an S-Corp. You can learn more by reading our comparison guide to LLCs, S-Corps, C-Corps, and more. C-Corps are the largest and more complex legal entities in the United States. They are the hardest to set up and require comprehensive corporate documents governing the company’s behavior. C-Corps are also required to file their own tax returns and pay 21% corporate income tax on any profits. These profits are taxed a second time when they are distributed to owners as dividends. While they are the most complicated and expensive types of legal entities, C-Corps also provide owners with the greatest degree of liability protection. For this reason, they make it the easiest for businesses to raise money from outside investors. In fact, most serious investors will require your business to be a C-Corp before they give you any money. Both LLPs and LLCs are simple, easy-to-use business structures that are ideal for new businesses. They both provide owners with personal liability protection, are relatively cost-effective to establish and maintain and offer fluid membership structures. However, it’s clear that LLPs are best for practicing certain licensed professions while LLCs are better in most other situations. If you’ve decided that an LLC or LLP is right for you and you’re ready to set up your company, be sure to check out Rocket Lawyer. Rocket Lawyer offers great template documents customized for each state, individual guidance from knowledgeable professionals and discounted attorney rates to help resolve more in-depth issues.